Durban comedian McIlroy’s unique, wacky brand of interactive comedy provides an unforgettable experience that the whole family - including your granny - can enjoy! Cape Town's Alan Committie is one of the hardest working comics in South Africa and is fast becoming recognized as one of the funniest. Alfred Julian Adriaan is a young comedian flying up the ranks in the SA comedy scene with two consecutive South African comics’ choice nominations under his belt in the best New Comedian & best Intermediate comedian categories. Performing to packed theatre’s for the past 21 years and with two of his very own TV series “SKATERLAG MET ANDRE” on DSTV you know you are not dealing with just any hypnotist. With the name Angel, she didn't have the career luxury of becoming a doctor or lawyer and her options were limited to being a stripper or stand-up comedian/actress. Her style of animated story telling in a comical manner is both smart and wholesome which is coupled by her amazing stage presence and personality. Kansiime's comedy style tends to focus on aspects of her personal life. 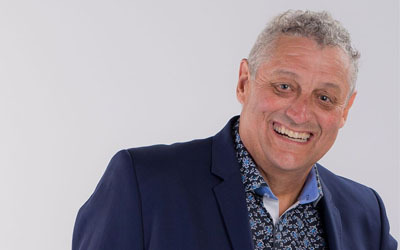 Barry Hilton A celebrity for sure, Performing his original brand of South African humour, his sell-out shows are proof of his popularity as “the cleanest” comedian in the country. Nkosha is a master of creating characters and conceptual bits in the place of traditional joke-telling. Bongani Dube is a South African stand-up comedian and MC, a man from humble beginnings born to make people laugh. Having finished making the feature films Straight Outta Benoni and Footskating 101, as well as the MTV Base show, Stay Off The Grass, he has been involved in writing, producing and acting in the TV show School of Jack. The name Basket Mouth hit the big screen when he featured in international concerts that witnessed the likes of Joe, Boys 2 Men, Sean Paul, Beyonce, Wyclef Jean, Dru Hill, Akon, Snoop Dogg, Ciara, Chris Brown and many others. All the way from Bloemfontein this self-confessed “farm boy” has been honing he’s comedic skills on the Cape Town comedy circuit since 2010. 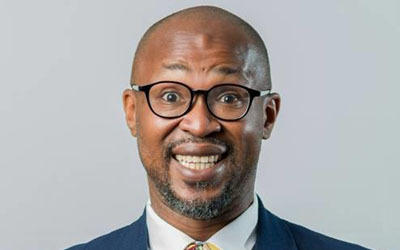 According to Comedy Central Africa "Carl Joshua Ncube has be the funniest comedian Zimbabwe's ever produced". 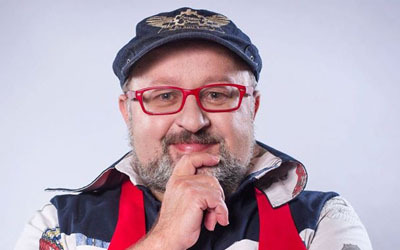 Casper de Vries uses satire, blue, character, observational, sketch and word play comedy styles in his stage performances, and he is very outspoken on topics such as humanity, religion, social norms, language and politics. 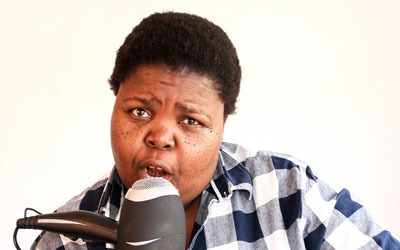 Celeste Ntuli is a full-time stand-up comedian and has come a long way since she was first discovered performing in a marquee in Durban more than nine years ago. Chester Missing is the world’s first political analyst puppet, on a mission to get South Africans laughing at people with power. Chris' witty and cynical one-line humour is thought provoking and to the point. 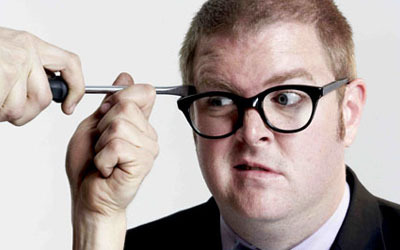 Totally nerdish and unflappable, his Drew Carey- looks and slowed-up delivery have ensured that audiences take to him enthusiastically. To share with the world. He started doing stand-up comedy with a one man show at the University of the Witwatersrand and never looked back since then. Conrad Koch an outstanding comedian from Johannesburg is completely unique in using his combination of razor sharp comedy with an understanding of human dynamics to create effective corporate communication. 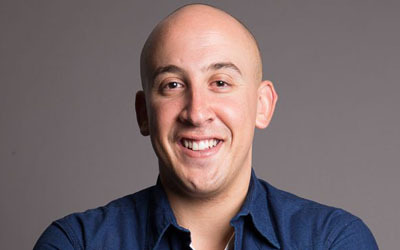 Dalin Oliver is a Cape Town based Comedian as well as the Sports Presenter on Good Hope FM’s Breakfast show. Daliso Chaponda is a UK-based, Malawian stand up comedian who has appeared in shows and festivals around the world. Danny Fisher, a rubber-faced comedian, does impressions of famous stars of stage and screen. 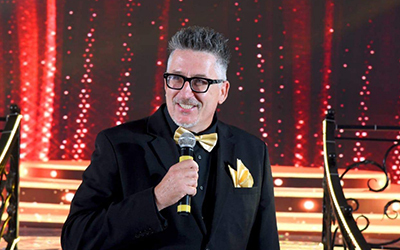 Darren Maule is a first generation South African but of Scottish-French decent. Yup, he is a real Jacobite! 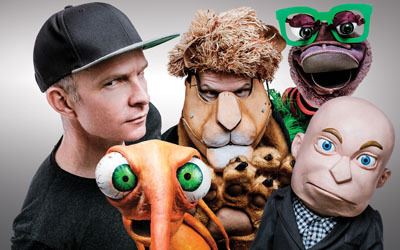 One of the best for improvised-comedy, Dave has become one of SA’s original comedy acts. 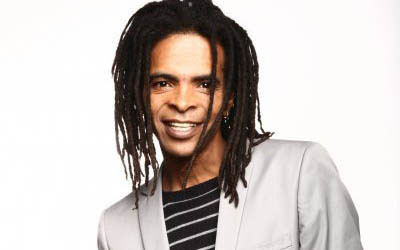 David was discovered at the Smirnoff International Comedy festival at The Baxter theatre in Cape Town, October 1998. The first time he ever performed as a stand-up comedian. David Kibuuka is undeniably, one of the young talents of South African comedy. A graduated Finance Honours student with Wits University, “Dave” has a unique brand of humour that combines wit and intellect without losing touch with his audiences. 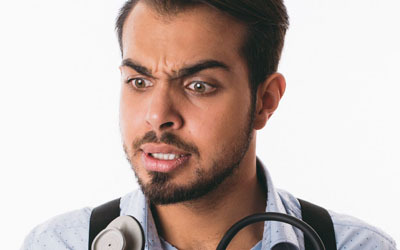 Award-winning comedian Deep Fried Man's quirky, clever blend of music and comedy has seen him establish himself as a top South African comic in just over two years. Dillan makes for great viewing, his static stage presence makes his unnervingly clever jokes accessible to everyone and not only makes you laugh but think as well. Ebenhaezer’s fresh and unusual take on life assures his audience a unique experience with possible side effects including painful stomachs, breathless lungs, severe headaches and in rare cases; death. 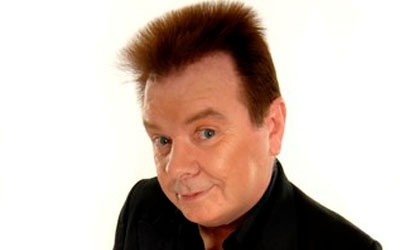 You want the most memorable, talked about event of the old and new millennium – book Eddie now! His versatile style has captured the attention and imagination of people from different cultures and backgrounds. His line of material allows him to host gospel, corporate, weddings, formal and informal events presenting in both vernacular and English. 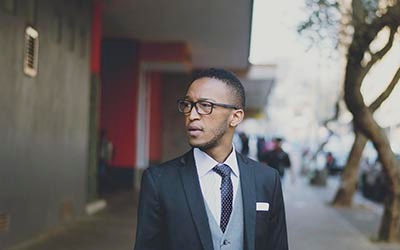 Emilio Tobias is a young Stand-Up Comedian who grew up in Eldorado Park and Soweto in the South of Johannesburg. His comedy is drawn from life’s drama and he is able to bridge Social and economical gaps through his delivery and unique approach. Comedian Eric Omondi is one of the best comedians in the country and he goes to great lengths to be funny even if it means dressing up in a school girl’s uniform or flexing his non existent biceps on camera. 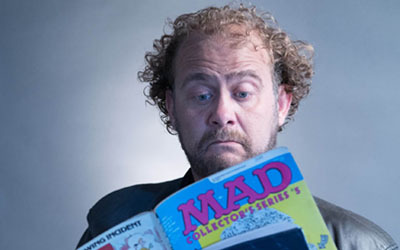 Etienne Shardlow - South African stand up comedian famous for his portrayal of an 11 year old schoolboy with a warped view of the adult world around him. 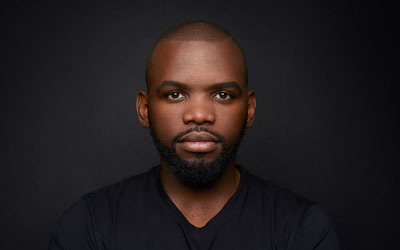 Eugene Khoza has been described as a new age comedian who breaks down boundaries, builds bridges, challenges prejudices and inverts stereotypes, but Eugene will probably tell you that it’s just him telling it like he sees it. 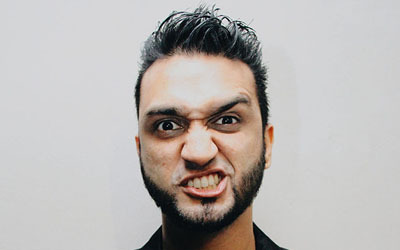 Farhan Esat made his professional stand-up comedy debut in 2014 and has become a regular performer at corporate events. His dry jokes and sense of humour are accompanied by his staggering (and often surprising) musical talent and vocal abilities. Gareth’s comedic style is one of witty analysis and story telling, which is generally thought provoking. He pokes fun at why we do the things we do. 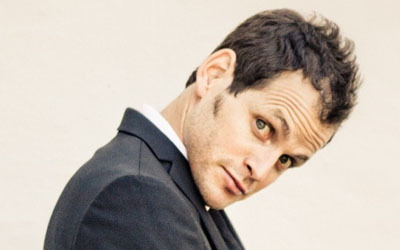 Gino Fabbri is an extraordinarily versatile and entertaining comedian/MC who performs throughout South Africa. Biderman-Pam is the winner of Comedy Central and Goliath & Goliath's 'The Box Comedy Open Spot Competition'. Glen Bo - Durban based, international Proudly South African comedian. Helen broke out as a naughty comic character on a critically acclaimed radio program known as “Wetin Dey” on Radio Continental, 102.3FM, Lagos. Award-winning musical comedienne Irit Noble is a singer, comic and MC deluxe! From being the Diva MC of Madame Zingara, to the Sun City Super Bowl to nation-wide appearances, her parodies of popular songs and spot-on humor about everyday life are renowned. His humor is sometimes dry, sometimes bitter, but mostly full of high-energy. 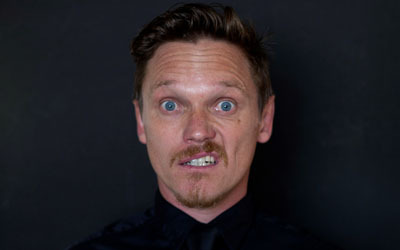 Joe Parker is probably the most popular English-language South African stand-up comedian in the country over the last 15 years. Having worked all the major comedy venues including the Superbowl at Sun City. 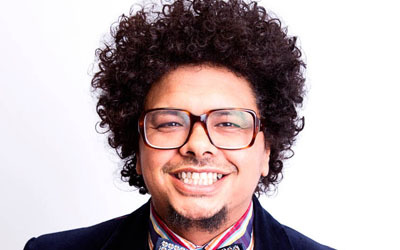 Joey Rasdien is the epitome of South African comedy today. His endearing stage persona is intellectually absurd, physically hysterical and visually beside himself. 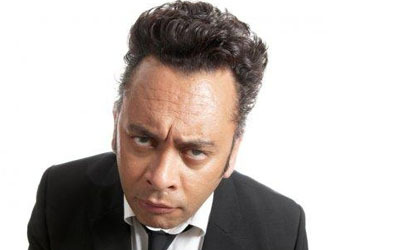 John Vlismas Of the stand up comedians working the circuit in South Africa today, John has the widest international profile. From his 2002 performance in Berlin at the Maulhelden Festival, to his shows in Dubai in 2006 and 2008. Judy Jake has been a stand-up comic for two years. She is the first professional black female comic in South Africa. 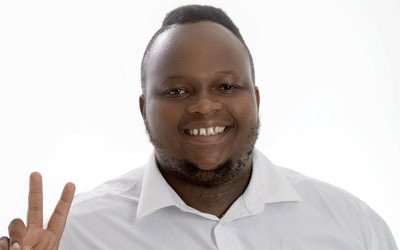 Kagiso ventured into comedy while studying at UCT and over the ensuing years set about establishing himself as one of South Africa’s top comedians. He has more than six years of experience (in 2003 Kedibone entered the stand up circuit with gusto!) and is labelled as the peoples comic! Michael Naicker already has a HUGE following in South Africa with a mailing list of 500 000 people and sold out shows wherever he performs. He is a full time comedian that performs at functions day in and day out. Her comedy milestone in her career so far, was becoming the first woman to win the coveted Audience Choice Award at the 2015 Savanna Comics’ Choice Awards. 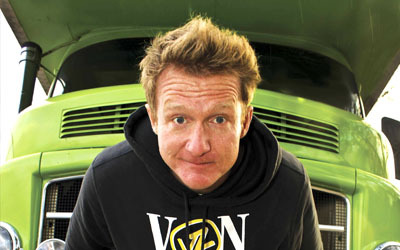 His One liner style of comedy is well received by audiences all around South Africa. 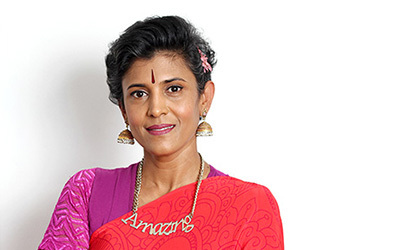 Krijay Govender is a South African actress and stand-up comedienne best known for her role as publisher Jenna, Strini Pillai's former love interest, in SABC1's soapie Generations. 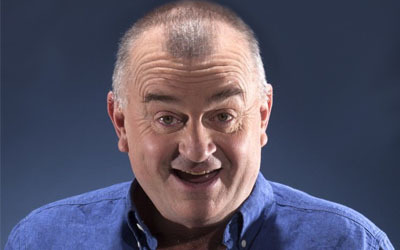 Kurt Schoonraad is one of South Africa’s best loved comedian celebrities. His style of performance and presenting has been likened to the world’s comedy greats such as Bill Cosby. He takes you on a ride into a world of unique observations, different and hilarious perspectives on everyday life. He is funny! Leeanda Reddy is a popular face on our south African screens, famous for her current on screen role as Priyanka Naicker on Sabc 3's flagship show Isidingo. Lihle Lindzy Msimang, winner of the 2011 Nandos Comedy Showdown, is a young female comedian and actress. She has featured in various prestigious stand up comedy events and DVDs. She is wild, she is whacky and she is wonderful. Lisa Bobbert is a Durban based comedian/singer/actress and recently a motivational speaker too. It's not often that politics is entertaining. Well, not intentionally anyway. 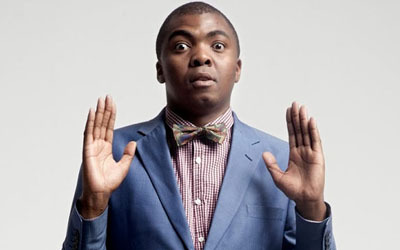 But when Loyiso Gola gets hold of it, you can't help but laugh. Malcolm Ferreira a fresh, dynamic and original comic, who’s fast becoming one of the most in-demand comedian in South Africa. 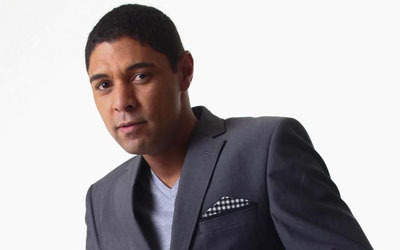 Marc Lottering hails from Cape Town and is considered by many to be one of the hottest comics on offer from South Africa. He continues to keep audiences in stitches, both in South Africa and abroad. Mark Banks has become one of the most recognized and respected stand-up comedians of his time. A passionate believer in the power of comedy to unite people, Sampson was the founder of the Cape Comedy Collective. Martin has long been praised for his originality and his quality of performance. Is Jonas rude? Oh, sure. Is he funny? You better believe it. But there is a striking depth and intelligence to his dialogue that leaves you feeling this boytjie from Kempton Park is destined for big things. Born and raised in Cape Town and a proud resident of Mitchell’s Plain, Mel Jones describes herself as "the favourite" of three siblings. A true legend of South African comedy, Mel started mixing comedy and folk music in 1964. He would love to one day own a bar with the name "Fok Weet", since that's where people are always going when he asks where he can meet them. Mojak Lehoko is a Johannesburg based comedian who has grace various stages across South Africa and abroad. His unique take on life and passion for comedy drives him to be one of the greats of the next generation of comedians. Mpho became a household name after entering "So you think you're funny" back in 2009. Muthu Murugan has been wowing audiences for many years and MC-ing the trendiest events in South Africa. This high energy, versatile and dynamic entertainer will have you falling off your chair through his accents, impersonations, ventriloquism, and musi-comedy. Mzansi comedian Nathaneal has to be one of the most refreshing comedians to hit the Joburg comedy circuit. His comedy ethos is one of introspective authenticity. He steers away from current affairs and politics. His material usually tends towards first person observations and opinions. He grew up on a farm, climbing trees and commentating on his own rugby games in at least three of South Africa’s eleven official languages. 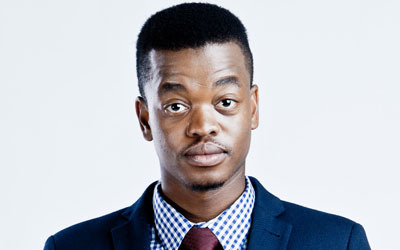 Nkosinathi is a diverse comedian with the proven record and ability to adapt to different audiences. Comedy came easy for this 31 year old Limpopo born, TuT Language Practice graduate. From primary school to date, she always loved making people laugh at her tall stories and jokes. 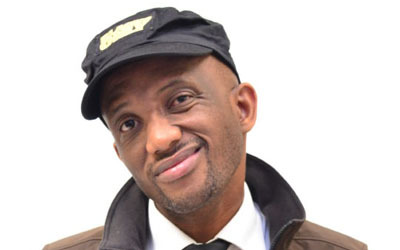 Nqoba Ngcobo is the universe's leading Zulu-Canadian Comedian. His satirical style has often be likened to many of the most famous comic ever. 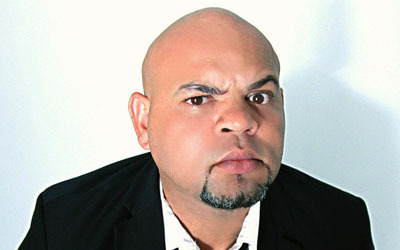 One of his key strengths is versatility, able to cater for different audiences with equally hilarious material. Salvado is co-founder and Director of THE CRACKERS a stand-up comedy outfit that has weekly shows in Kampala and has over the years since its creation become the best group in town boasting of weekly sold out shows. 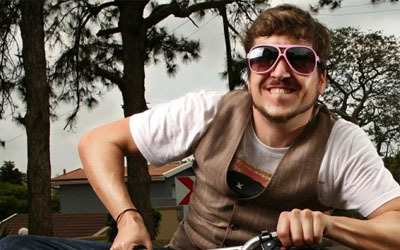 Piet Potgieter is the biggest Afrikaner comedian to hit South African stages in the last five years - literally. This two meter tall Dutchman from Kraaifontein has taken the local comedy scene by storm. Some would say Pravesh has been increasing revenue for tailors as he’s known for leaving his audiences in stitches. 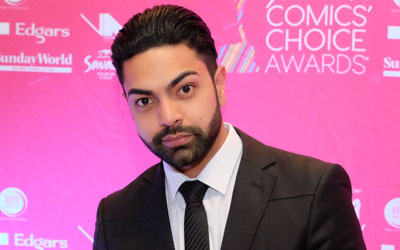 The comedian formally and informally known as ‘Prins’ is one of the hottest up and coming comedians in South Africa. Rhys is an off-beat entertainer with charisma, intelligence and loads of sassy catch phrases. 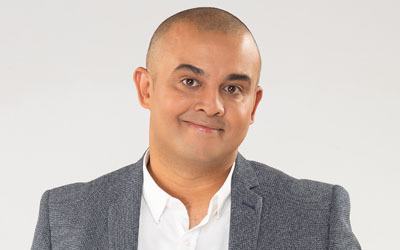 Riaad was part of the largest stand-up show in the history of South African television 'Laugh out Loud', where he joined nine of SA’s top comics to raise money for the Reach for a Dream foundation. A friendly easy going guy his style is a blend of quick wit, clever observations and a personality that shines through on stage. This legendary theatre director / producer / playwright / actor extraordinaire is one of South Africa’s most celebrated talents. 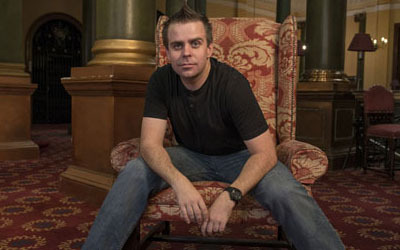 Robby started in the theatre performing at the Catalina Theatre in 2006. His first play was "Wherez It @" a youth comedy drama. Roland is frequently seen on screens across the nation in commercials for brands like Makro, MiWay, General Motors and others. Roni Modimola is a performer who can be relied on to win over the trickiest crowd with his quiet charm, philosophical musings, silly word-plays and good old-fashioned gags that leave the crowd begging for more. Ronnie was co-Founder of The Middle Eastern Comedy Festival in Los Angeles and garnered national attention as the first comedian to perform in Cairo after Egypt's revolution, joking about taboo subjects such as politics and sexual harassment. On stage Schalk is fun and energetic and appeals to people of all kinds and colours. Widely regarded as one of Cape Town’s funniest female comedians she has performed alongside artists such as David Newton & Martin Evans. Smowkey Nyembe is a Savanna comic choice award nominee. He has also hosted and performed in a number of festivals to date. Proudly Malawian. Loudly African. And quietly hiding from Home Affairs, you can find Snooze on the line-up of any comedy hotspot in SA. Suhayl Essa is a doctor with a funny bone. 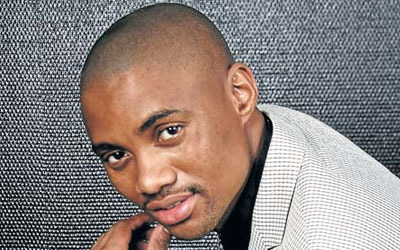 He began stand up comedy performing at club gigs across Gauteng. 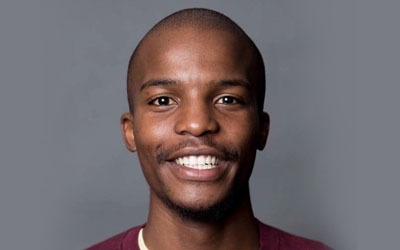 Sivuyile Ngesi is a 25 year old actor born in the township of Gugulethu, Cape Town. Skhumba Hlophe is a South African comedian, radio presenter and actor best known for his role as Dlamini in the feature film Taxi Ride and its spin-off series of the same name. 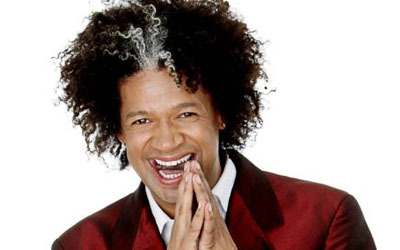 This versatile performer is undoubtedly one of our countries top entertainers, more often than not using his distinctly unique brand of Cape Coloured humour. 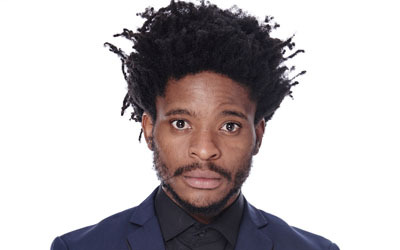 Having made a rapid transition from newbie open mic act to a professional South African comedian late 2011, this young comic is fast becoming a serious force to reckon with. 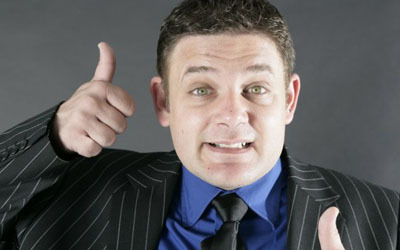 Best Known as "the guy from Going Nowhere Slowly” Stuart Taylor was the reigning SA National Comedy Magic Champion. Tats Nkonzo is the rising comedian blazing comedy clubs all over Johannesburg. 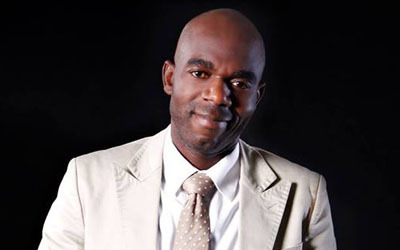 Thabiso Mhlongo is a professional stand up comedian whose calmness and storytelling continues to captivate audiences. All topics are fair game for this comic diva who gave up her career in Law to pursue stand-up comedy full time. Thenjiwe Moseley uses her humour to address topics that most people shy away from. 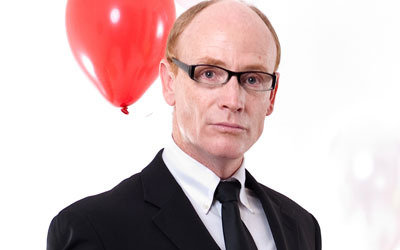 His comedy play, written in conjunction with Jonathan Rands, called The Insatiables won Best Comedy Play for 2008 . 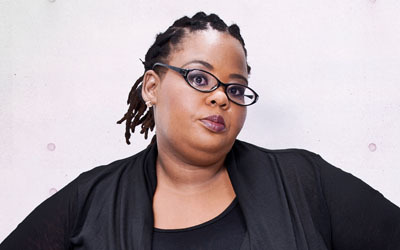 Tracy has been performing stand up comedy since her arrival in Cape Town in 1999. She is known for her ‘growing up disgracefully’ stance on life and being dragged towards middle age. Trevor Gumbi has had people laughing at several major comedy events in the country, including performing at Oppikoppi. Tshepo Mogale has been invited to perform in many comedy festivals including the Cape Town international festival, Soweto Comedy festival, DSTV comedy festival, Comedy Blackout. Tsitsi recently reached a milestone in 2018 when he won his first SAFTA (South African Film & Television Award) for Scriptwriting - TV comedy as part of the ZA news team. In his 11 years on stage, Vittorio has tried to show audiences a new way to see the world - slightly skewed, a bit quirky and governed by cartoon law. 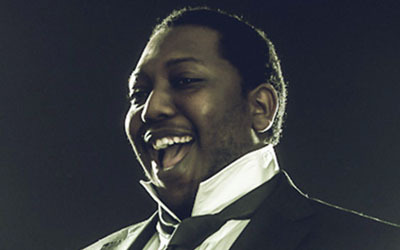 Warren has won awards and competitions in both the UK and South Africa and in 2011 was nominated by his peers as being one of the Breakthrough Acts of the year. If you want a success story at your next event, Wolfgang will inspire you with his special brand of fine magic and motivation. And, oh yes, he is only 41 years old.